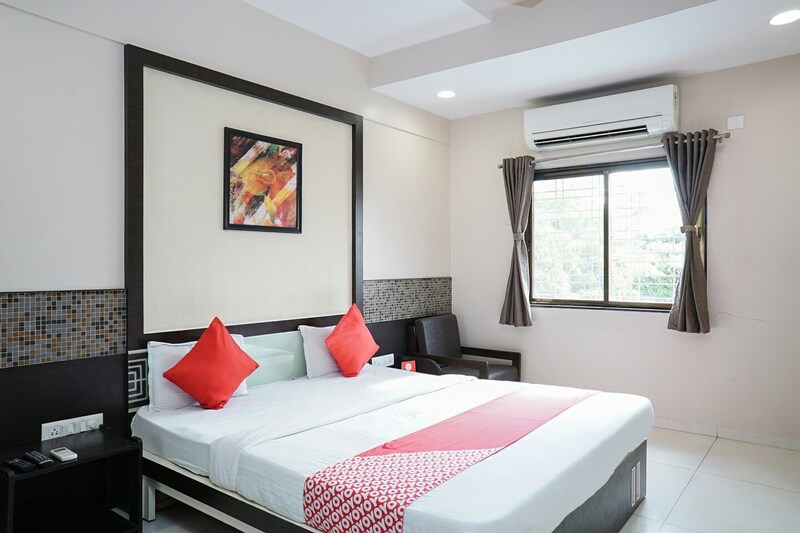 Located on Nagar Manmad Road, the warm and welcoming OYO 23693 Savedi is a 2-minute drive from Tarakpur bus station and a 15-minute drive from the Ahmednagar Railway station. Chand Bibi's Mahal, Anand Dham and Cavalry Tank Museum are few kilometers away. The hotel has well-lit corridors and a beautifully decorated reception along with seating space for visitors. CCTV cameras are in place to ensure safety inside the hotel and at the parking space. There is a provision for 24/7 assistance from highly professional staff. Hotel Oberoi has countless food joints and recreational complex within the radius of a kilometer.